Who doesn't love stacking rings! 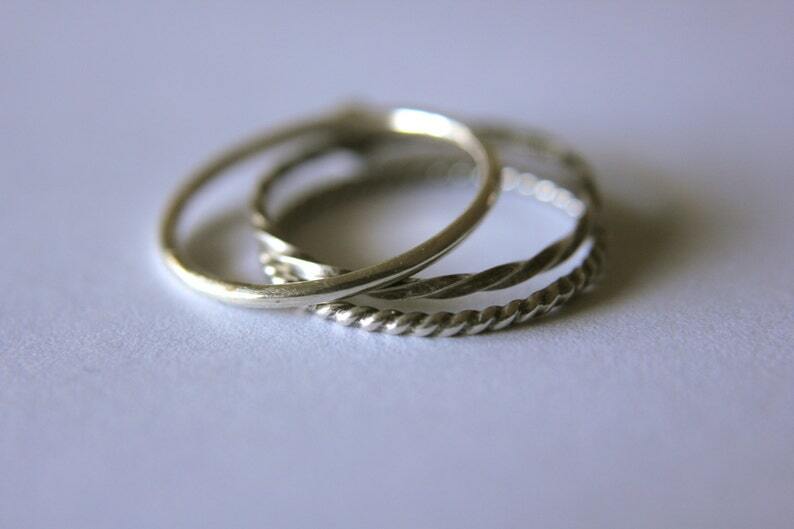 I love filling up my fingers with these tiny mix and match rings, so slender you could fit up to 9 rings on one finger! You will receive three sterling silver bands: one plain, one twist, and one rope. If you would like to customize your selection please tell me in notes to seller. Darling Little Skeleton Key Stacking Ring. Romantic sterling silver skeleton key ring. Antique style key jewelry.